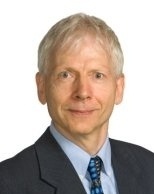 Dr. Harold Boley is adjunct professor at the Faculty of Computer Science, University of New Brunswick, Canada, and chair of RuleML Inc. His work on the specification of Web rules through RuleML has found broad uptake. Deliberation RuleML 1.01 has been released, is used for Datalog+/-, and is applied to Rule-Based Data Access. RuleML has been combined with OWL to SWRL, has become the main input to the W3C Recommendation RIF, and has provided the foundation for OASIS LegalRuleML. His Rule Responder projects have enabled deployed distributed applications for the Social Semantic Web. His recent innovations in data-plus-knowledge representation include the object-relational PSOA RuleML and the visualization framework Grailog. The RuleML standard encompasses Deliberation RuleML (Version 1.01) and Reaction RuleML (Version 1.0), both contributing to Decision Management technologies. RuleML decision rules are object-centered in multiple ways. Decision languages are configurable from desired properties in the lattice of schema objects for RuleML/XML such that users can obtain precisely the required language expressivity, hence engine efficiency. The MYNG tool configures Relax NG schema modules and generates monolithic XSD schemas compatible with XML tools, e.g. JAXB. Decision rulebases can be serialized in RuleML via an alternating ('fully striped') normal form of (upper-cased <Node>) object elements and (lower-cased <edge>) property subelements. This allows structured XML descriptions and simplifies decision-rule exchange with other object-centered notations, e.g. for RDF, CLIPS, and Drools. In particular, RuleML can use JSON as an alternate presentation and exchange syntax, RuleML/JSON, round-trippable with RuleML/XML, while keeping RuleML's schema definitions unchanged. Moreover, Positional-Slotted, Object-Applicative (PSOA) RuleML enables the integration of relational plus object-centered (graph) data and rules for decision making. A PSOA fact applies an integrated relation/class object, optionally instantiated by an object identifier (OID), to positional arguments or slots (property-value pairs). A PSOA rule uses patterns to query and derive PSOA facts, where a rule conclusion can generate new OIDs. For these, PSOA RuleML employs OID-existential rules, connecting it to Datalog+ RuleML 1.01, Datalog+/-, and ontology languages.